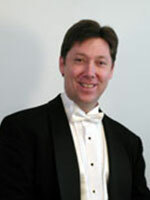 Dr. James W. McRoy is currently Professor of Music and Director of Bands at the C.W. Post Campus of Long Island University. At C.W. Post, Dr. McRoy directs all aspects of the band program, conducting the Wind Ensemble, Symphonic Band, and Pep Band. Dr. McRoy teaches and coordinates the undergraduate and graduate conducting sequence and teaches instrumental conducting lessons. Dr. McRoy also teaches instrumental music education courses, and coordinates the Brass Studies Area.A native New Yorker, Dr. McRoy holds a doctoral degree in Instrumental Conducting from Ball State University, and bachelors and masters degrees in Music Education from the Aaron Copland School of Music at Queens College, CUNY. He taught high school band in New York for ten years and for two years was the Associate Director of Bands at Ball State University in Indiana. Dr. McRoy is currently the President of the New York State Band Directors Association, and the New York State Chair for both the National Band Association and the College Band Directors National Association. He maintains an active schedule as a guest conductor, clinician, and adjudicator in both North America and Asia. Dr. McRoy has presented research at the state level and he holds professional memberships in Kappa Delta Pi, Music Educators National Conference, New York State Band Directors Association, College Band Directors National Association, National Band Association, College Music Society, Pi Kappa Lambda, and Phi Mu Alpha Sinfonia.